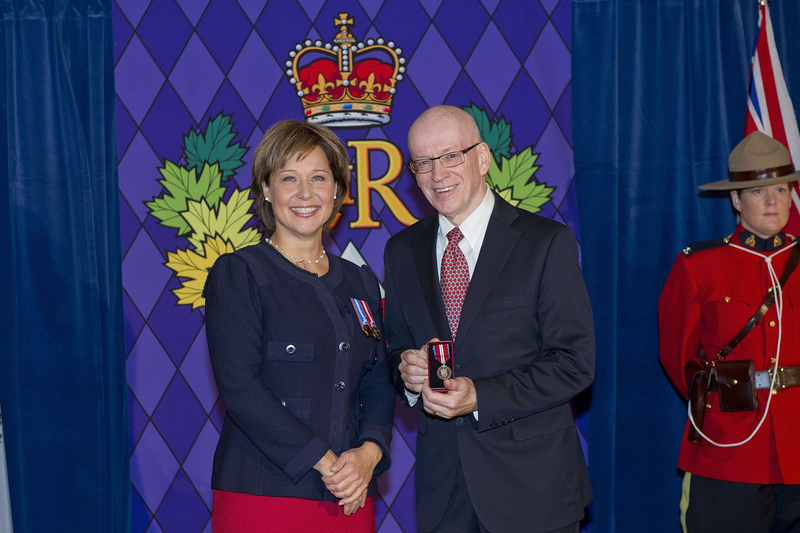 President Raymond [pictured left with Premier Clark] received the Queen’s Diamond Jubilee Medal in recognition for his service to the Province of British Columbia. In honour of Queen Elizabeth II and her 60 years as Queen, this medal recognizes significant contributions and achievements by Canadians. According to a sample of results of the Canadian University Survey Consortium, undergraduate students at Christian institutions reported the highest levels of satisfaction in several categories. The King's University College (Edmonton), TWU, Concordia UC, and Tyndale are the top 4 in the “satisfaction with the overall quality of education received at this university” category. 37 universities participated in the CUSC survey in 2012, with more than 15,000 students completing the survey. 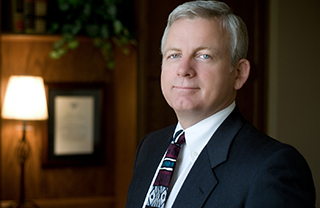 On February 22, the Board of Governors of Trinity Western University received and accepted Dr. Jonathan Raymond’s resignation from the office of President effective June 30, 2013, due to personal health issues. President Raymond would continue on in the role of President Emeritus and Senior Fellow, remaining engaged in ambassadorial and scholarship responsibilities for the university. School of Nursing Associate Professor Rick Sawatzky was awarded a Tier 2 Canada Research Chair on April 1. Sawatzky’s research program, Patient-Reported Outcomes, focused on the complex healthcare needs and concerns of people struggling with chronic, life-limiting illnesses, from their point of view. On May 10, the university’s founding president Calvin Hanson [pictured left], Litt.D., D. Hum., President Emeritus, passed away. Phase 1 of the RNT/SNC rehabilitation took place, which included seismic upgrades and a second-floor connector/addition. Trinity Western University established the Inklings Institute of Canada, which was then led by English professors Stephen Dunning, Ph.D., and Monika Hilder, Ph.D.
On July 1, the Trinity Western University Board of Governors announced that Bob Kuhn [pictured left], a Trinity alumnus (’72) and long-time supporter of the university and Chair of the Leadership Advisory Council for the School of Business, accepted the appointment of Interim President. On July 23, Trinity Western University and Ha Tinh University signed a Proposal for Collaboration on the TWU campus. This proposal was the culmination of years of relationship development between the Township of Langley and Ha Tinh City in Vietnam. On September 14, the Jordan Thiessen Memorial Courtyard in the previously under-utilized Douglas Centre Courtyard was dedicated. From September 18 to 21, the Truth and Reconciliation Commission of Canada (TRC) gathered in Vancouver, as one of six nationally-held events, with a mandate “to seek the truth and play a role in the healing and reconciliation process for the Aboriginal people of Canada who suffered under the Canadian residential school system”. TWU classes were suspended on September 18 to facilitate community-wide participation in the event. Long-time residents of Langley, the Blaauw family [pictured left with President Kuhn], donated 2.5 million dollars for TWU to purchase a 25-acre parcel of the Glen Valley—known by locals as McLellan Park—in honour of their late husband and father, Thomas Blaauw. 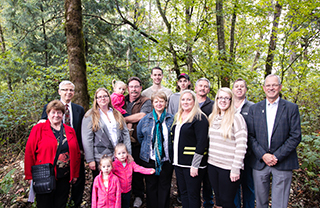 The agreement between the Blaauw family, Trinity Western University, and the Township of Langley would see forested land in Glen Valley preserved for public use, education, and research. The Thomas Blaauw dedication and ribbon-cutting ceremony took place on September 24. 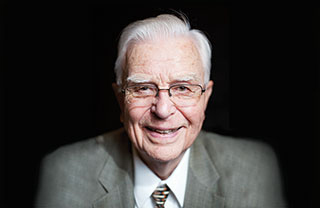 On October 10, the curriculum resource room in Norma Marion Alloway Library was renamed The Harro Van Brummelen Curriculum Resource Centre in honour of Dr. Van Brummelen's significant contribution to the Library, and to the TWU School of Education. On November 10, Spartan Women’s Soccer won their second CIS National Championship in a row, the Spartan's 5th CIS Title. On November 12, the Spartan Women’s Cross Country Team won TWU’s first Canada West Cross Country Championship. The Spartan Men’s Cross Country Team finished with a silver, and Alison Jackson won a Canada West gold medal and qualified for the 2014 World University Cross Country Championships in Uganda in March. On November 21, carolers and candlelight ushered in the Christmas season and welcomed guests to Trinity Western University’s 2013 Christmas in the City Gala at the Fairmont Vancouver Hotel. Thanks to the generosity of Gala attendees and supporters, the signature event raised $1,079,960, exceeding its $1 million fundraising goal for the evening. The Nativity theme was woven into the evening through alumni speakers Mark Stockburger (’96) and Jenny Hawkinson (’11), and in vocal performances from Carolyn Arends (’89) and Paul Ouellette (’93). On December 16, the Federation of Law Societies of Canada (FLSC) approved the proposal for a TWU School of Law. On December 18, the Honourable Amrik Virk, Minister of Advanced Education, called President Bob Kuhn to personally announce approval of the School of Law.